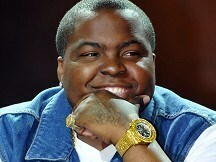 News - Sean Kingston: I'm a lot better! Sean Kingston: I'm a lot better! The singer posted a message to his fans on Twitter which said: "Feeling alot better! GOD IS GREAT! Thanks for all the prayers and support! Love you ALL!" Sean, who has collaborated with Justin Bieber, also posted a picture of himself, in the hospital, flashing a peace sign. He has been in Miami since the May 29 crash in Miami Beach. His publicist said he walked on his own on June 6 for the first time since the accident.